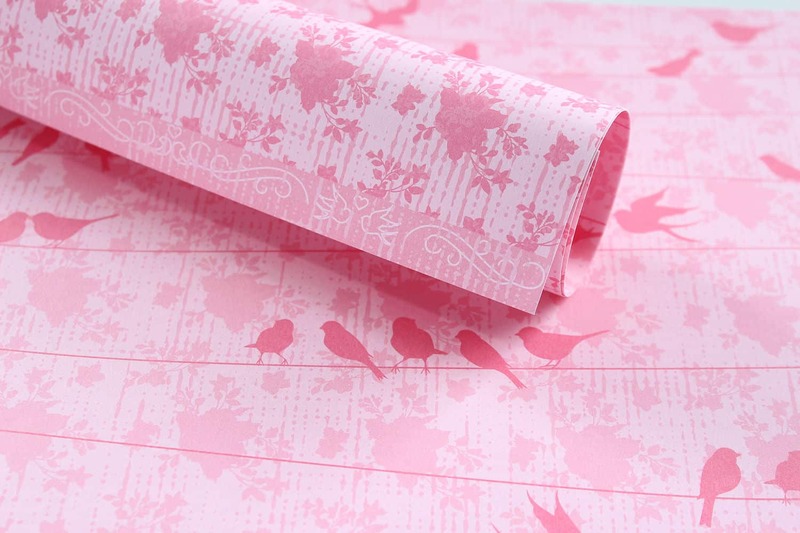 With the new range of Pink Lady Pattern Paper papers you can create something special any time. 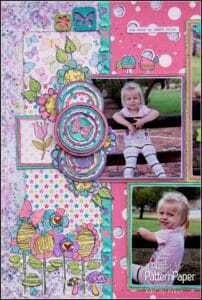 I made this card using the lovely new paper from the range with these gorgeous flowers on. 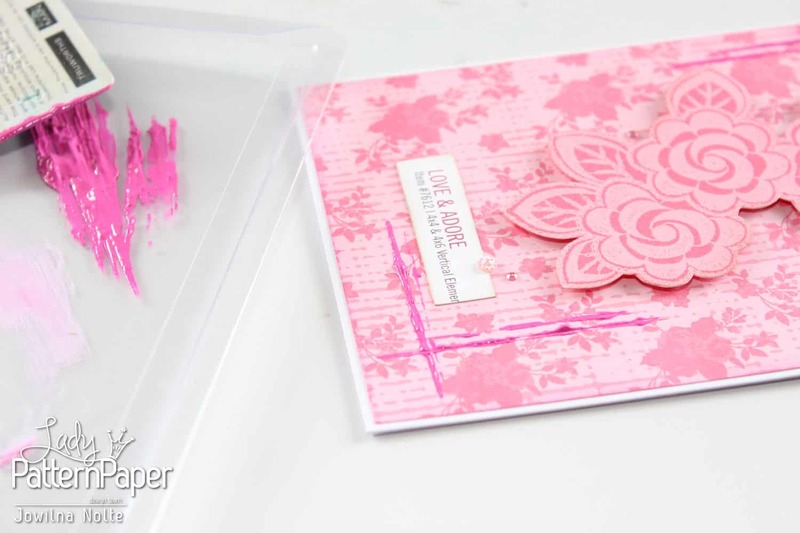 For the card I used the floral pattern as a backdrop on my card and added only a few simple additional elements for an elegant easy card. 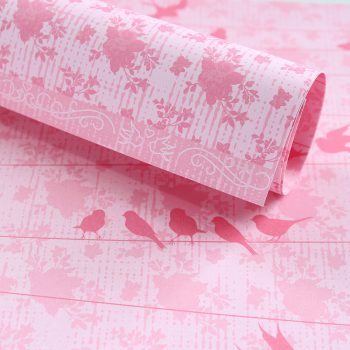 Trim the patterned paper (Pink Mary Lovebirds) about 5mm smaller on either side to fit onto the front of your folded card. 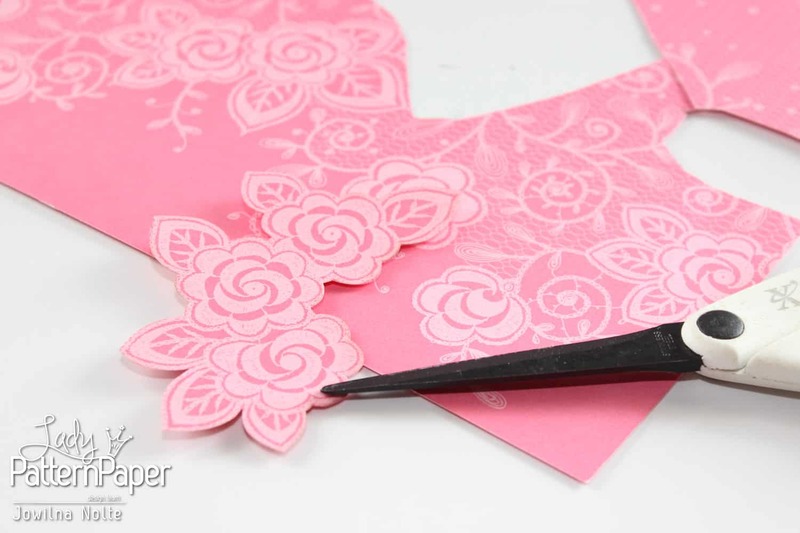 Cut out a selection of flowers from the Pink Mary Lucy Lace paper. 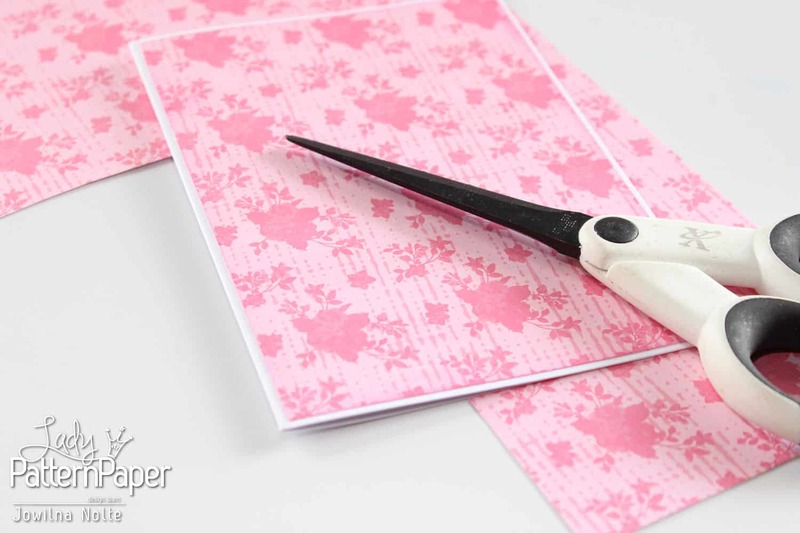 Ink the edges to hide any cutting lines. 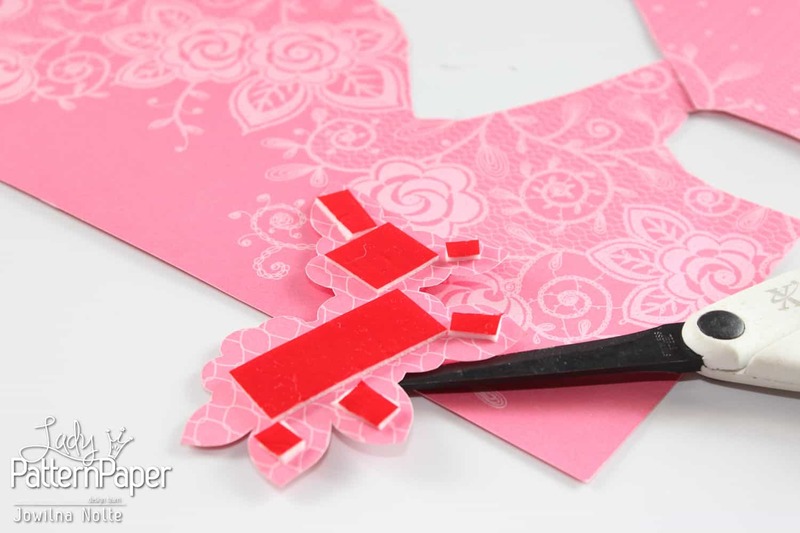 Add some foam tape to the back of the cut out flowers. 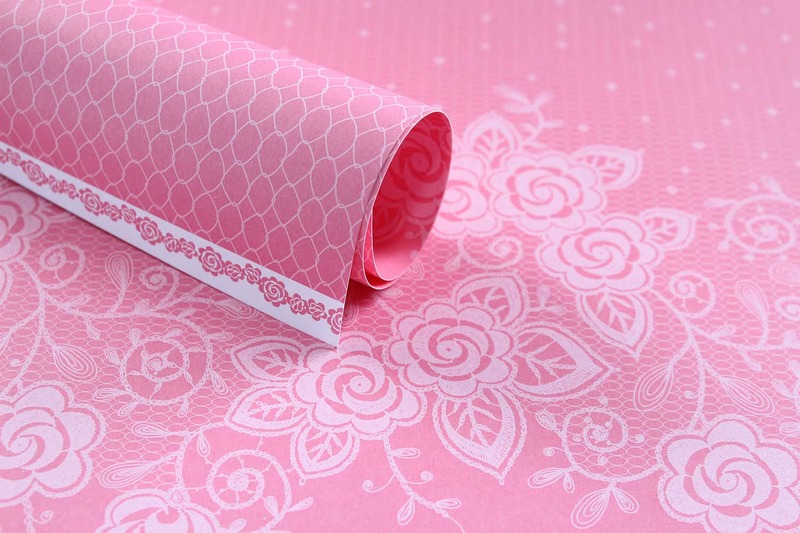 I used quite a thin foam for some dimension but without it being too bulky and the foam tape visible underneath. 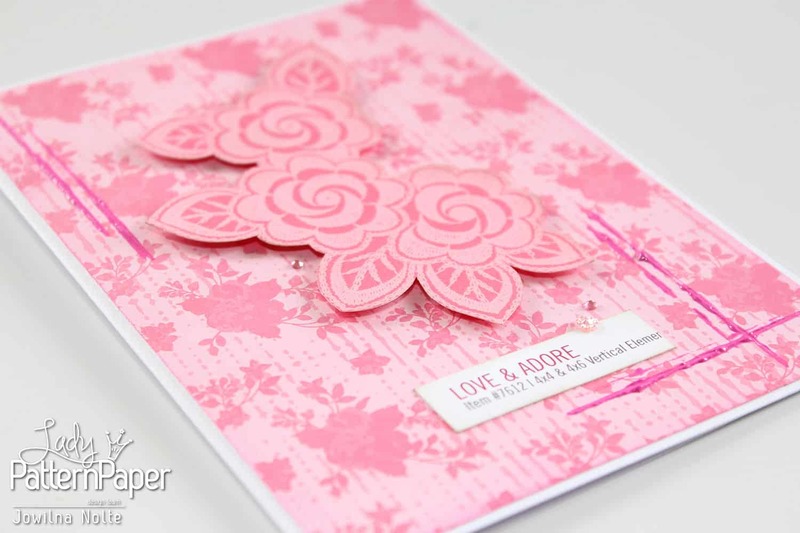 To finish off my card I used a barcode strip with the words Love and Adore on as the sentiment on my card. 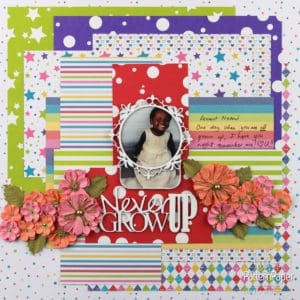 A few bold pink paint stripes stamped in heavy body paint makes for a nice and unexpected bold statement. 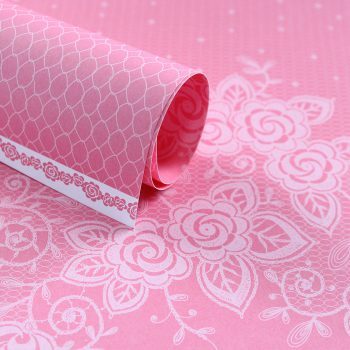 Lastly add a few diamante for that elegant finishing touch. 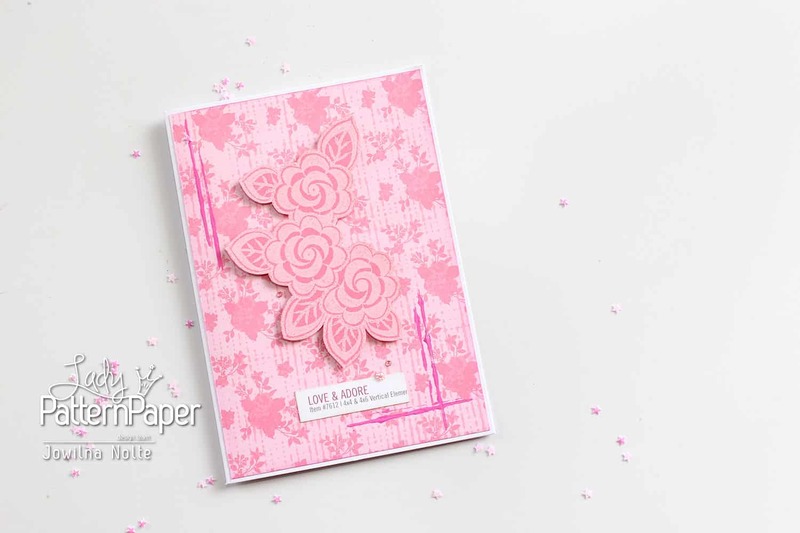 A beautiful pretty pink card in a few easy step using some of my new favourite Lady Pattern Paper papers…perfect for the month of love.